Summer, like no other time, is the season we most associate with being outside. For the Central Coast, summer may not always be the warmest part of the year. But with its long days, school breaks and family vacations, summer typically affords us more time than any other to recreate, travel to new places or our favorite spots, and discover new things about the natural world. The Museum will once again be a destination for all ages this summer as we ramp up new exhibits, public programming and, of course, summer camps. It all starts June 1, when we premiere the first of three Summer Art Series exhibitions and free First Friday receptions. We kick it off with Margaret Niven, an accomplished Tannery Arts Center artist whose show, Trees of Coastal California, will deepen our appreciation for the beauty and diversity of the trees around us. Shows in July and August will feature Diana Walsworth and Linda Cover, respectively, whose shows are titled Brink-The Art of Conservation and Nature in the Round and Square. Each of our First Friday receptions is open to the public from 5-7 p.m.
On June 23, we will officially welcome summer with the free, family-friendly Summer Kick-Off Festival, both inside the Museum and outside in Tyrrell Park. 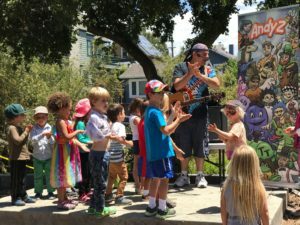 The full-day festival will feature kids’ music, food trucks, science-based games and live animals. 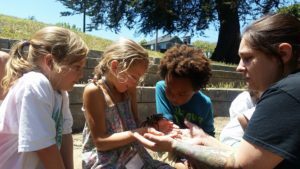 New this year, we also welcome several partnering organizations, such as the Museum of Art & History, Museum of Discovery, and Watsonville Wetlands Watch, to name just a few. 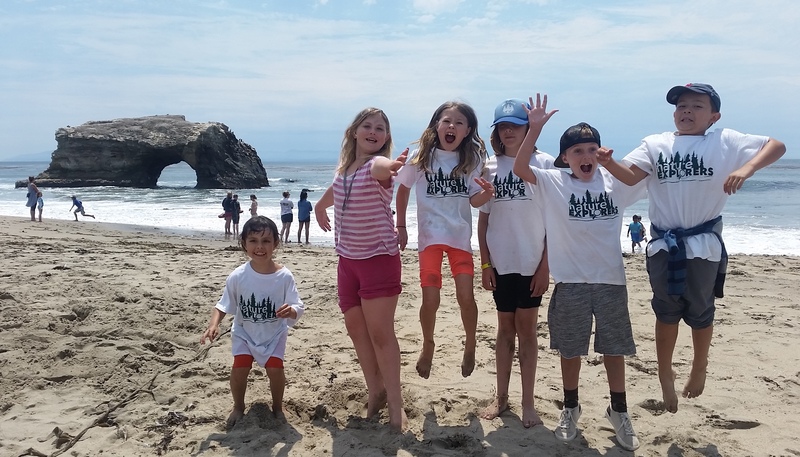 Lastly, in July and August, the hustle and bustle of school-year classroom visits will be replaced with the exciting energy of our summer camps for kids in grades K-5. Participants in the “Art and Science of Nature” camps will experience outdoor investigations and hands-on art projects, while the “Biomimicry Camp” will draw inspiration from nature to solve design challenges and generate ideas for a more sustainable life on earth. Both camps offer exciting field trips. Our third camp, “Can You Dig It?” will offer campers the opportunity to become junior paleontologists, geologists, and biologists as they dig into the world of fossils, bones, rocks, and dirt. “Can You Dig It?” is sold out but there is still time to apply to the other camps. And scholarships are available for qualifying families. We hope you will join us this summer for these and other engaging opportunities to explore the wonders of nature.